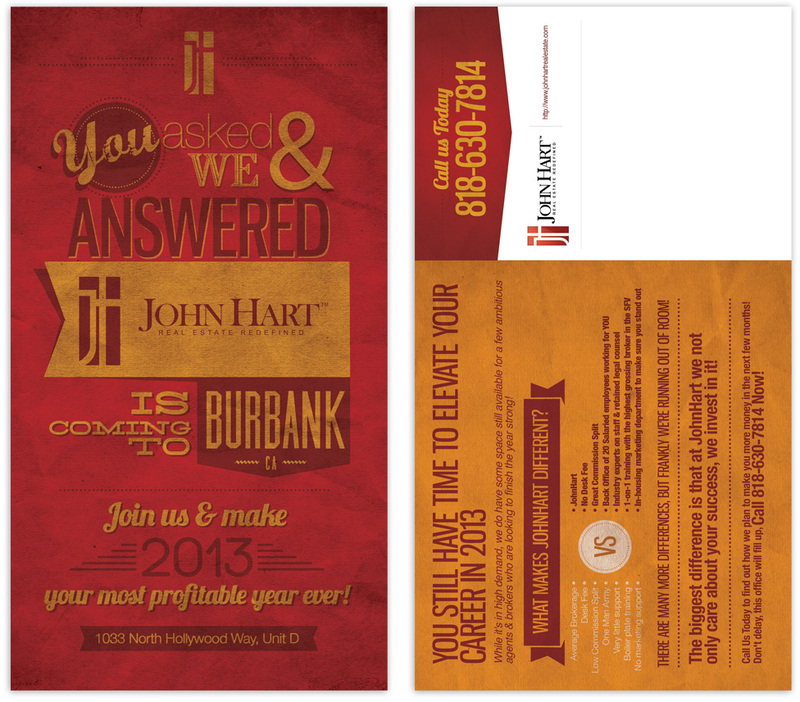 John Hart Real Estate is opening its second location in Burbank CA. They wanted us to design an eye catchy coming soon flyer for their new location. We used their colors and kept it sweet and simple strait to the point.